Mastication is the body's method of moving the jaws and teeth through space and time in order to encounter and fracture food into small easy to digest bits. It is a brilliantly choreographed feeding behavior demanding the integration of all of the senses to provide direction to contractions of millions of muscle motor units dispersed throughout the head and neck region. The grand purpose of this complex activity is to deliver nutrition and sustenance. Teeth have a dual nature that enables them to crush a vast quantity of food over the course of a lifetime and endure. They are at once extremely hard, strong structures while being exquisitely sensitive tactile sensory organs. Mechanoreceptive nerve fibers within the teeth and the periodontal ligament are tuned by evolution to enable the long-term survival of teeth. Whether aware of it or not, dentists manipulate the anatomy and physiology of patients while performing routine dental treatments. Favorable manipulation of occlusion, oral hygiene and nutrition can enable teeth to last a lifetime with minimal wear or damage. Alternatively violations of the anatomy and physiology of occlusion can result in tooth fracture, abfractions and parafunctional behaviors such as bruxing and clenching. The purpose of this course is to teach a physiologic perspective on occlusion so that dentists may make better use their skills. Knowing why procedures such as equilibration or occlusal splint therapy can cause profound changes in a patient's experience is of paramount importance to their wise use. How mechanoreceptors & proprioceptors of the teeth and periodontal ligament influence dental occlusion. How occlusion occurs because of sensory motor integration. Why occlusal tooth contacts create streams of sensory information that are processed by the central nervous system to produce oro-motor behaviors. How tooth wear and pulp vitality influence jaw behaviors. How occlusion and dental arch form relates to airway disorders. How the movements of the jaws are constrained by both the TMJs and the Atlanto-Occipital Joints. 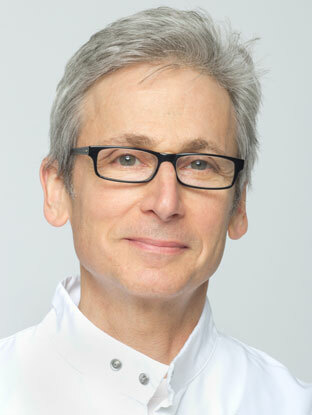 Dr. Jay Harris Levy, DDS is an internationally recognized clinician and speaker. Dr. Levy's courses emphasize the physiology anatomy, biomechanics and restoration of the dental occlusion. He maintains a private dental practice in Portland, Oregon, which focuses on occlusion, restorative dentistry, TMD and airway disorders. In 2018 Dr. Levy founded Levy Occlusion Seminars. Dr. Levy received a Bachelors of Science Degree in Mechanical Engineering from Union College and his Doctor of Dental Surgery degree from New York University where he went on to teach restorative dentistry as an Assistant Professor. In New York City he maintained a private dental practice for 17 years before moving to Oregon. At Oregon Health and Science University (OHSU) he developed a sensory-physiology research program that explored the mechanosensory mechanisms that underlay mastication. While teaching restorative dentistry at the School of Dentistry he completed a two-year postdoctoral fellowship in neurophysiology and he received a Certificate of Training in Human Investigations from the School of Medicine. He served on the teaching faculty at OHSU as an Assistant Professor in the Department of Biological Structure and Function, Department of Integrative Biosciences, Department of Prosthodontics and the Department Community Dentistry. Dr. Levy's engineering background, neurophysiology research and years of clinical practice and teaching enable him to take occlusion education to the next level.